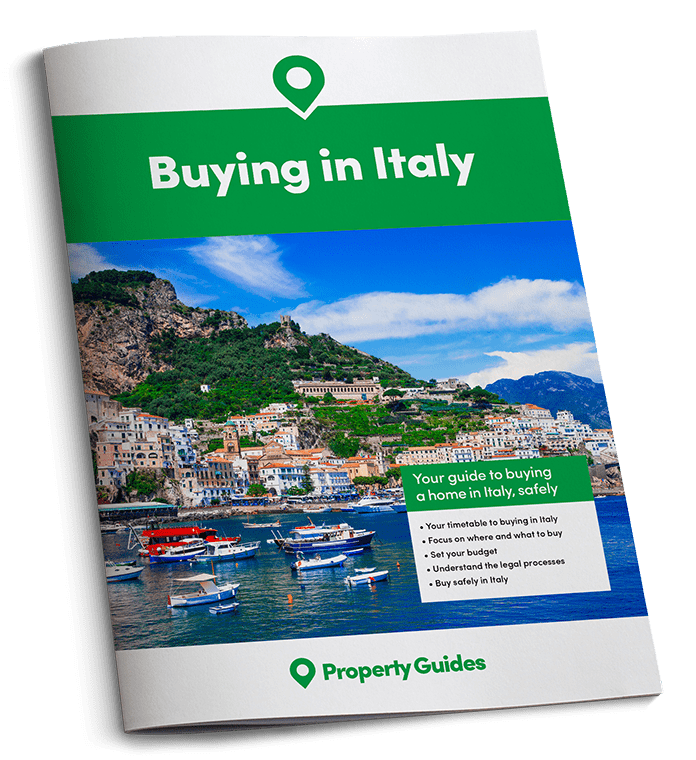 If you have been watching the BBC 2 TV series, “Second Chance Summer: Tuscany”, and feel that life in the Italian countryside is for you, then Italy Property Guides can help you begin your search. 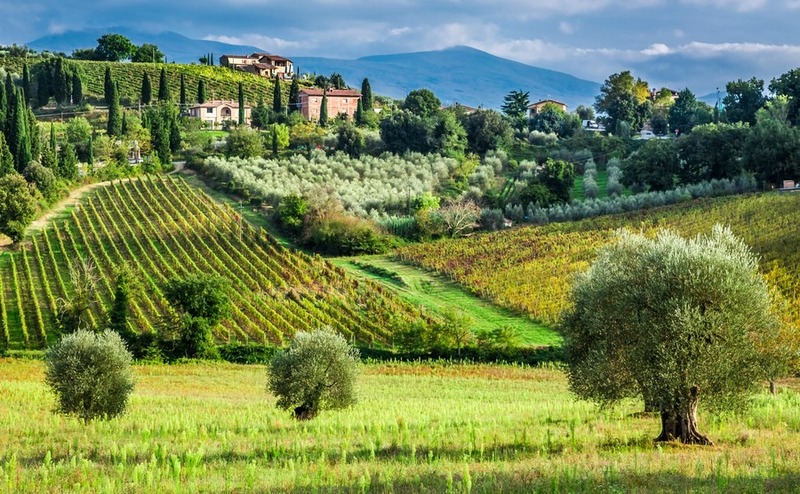 Tuscany has attracted British house buyers for many years, drawn by the beautiful rolling green hills, vine yards and olive groves and their proximity to the elegant cities of Florence and Sienna. Many people carry in their minds the idyllic image of the winding tree-lined avenue, leading up to a charmingly rustic farmhouse. The ten-bedroom farmhouse with a vineyard, olive grove and vegetable garden, may be out of the price range of many British house hunters in Tuscany, but if you think a little smaller and expand your search into other Italian regions you will find countryside views and pretty hill top villages with just as much charm and at lower prices. Country views and pretty hill top villages with just as much charm and at lower prices. Imagine waking up in the morning to the sound of birdsong and seeing the sun beaming through the window. Mornings spent drinking coffee on your terrace looking at the view and deciding what vegetables you will pick from the garden or buy from the village market, then bringing all those fresh ingredients together in your farmhouse kitchen. Living in the countryside you become aware of all the colours and tastes of the seasons, the wild flowers in the spring and the trees displaying their warm autumn colours, and at night the sky sparkles with millions of stars. Although olive trees and vineyards can be found in many regions, you may also discover that your land has figs, almonds, chestnuts, walnuts, lemons, oranges, apples etc. depending on the climate of the region. This variety will also be reflected in the local cuisine and the landscape. Could you bear to own a home in the Italian countryside? Countryside homes often come with land, so it is worth considering whether you will be able to maintain the building and land yourself, or need to budget to get in help. If you like to have great countryside views, without having to work on it, another option is to buy a house on a small plot on the edge of a hill top village. If you plan on living in the house through the winter, do consider if you will love the location as much on a rainy day. Major sun worshippers should head to Puglia on Italy’s southern heel, where you will also find unspoilt rustic charm and warm people to match the warm climate. These properties make great holiday retreats and often benefit from wide views of the hills and lakes. Decide what your priorities are regarding location, especially if you want to rent your property to tourists. How far is it from the nearest shop, hospital and airport? Are the roads accessible in winter and can you get an internet signal? Does the area have places of interest for your visitors, such as restaurants, cafes, hiking trails, skiing, national parks, beaches and beautiful towns and villages. Having helpful neighbours and a friendly local community can make all the difference. You should also make yourself aware of those areas that have had earthquakes and ensure that the building meets safety requirements. Look up into the hills around Lake Como and you will find charming little stone houses perched on the hillside. These properties make great holiday retreats and often benefit from wide views of the hills and lakes. The areas around the lakes are also popular with those who enjoy cycling and running. House Prices: A small rustic stone house in the hills around Como that needs renovating can cost as little as €80,000. But it is worth paying a bit more for one that is already liveable, as prices start at around €130,000. Houses with two-bedrooms can be found from €260,000. The closer you get to the lakes the more expensive they get. Here are some Lombardy properties for sale on Rightmove. So all the talk is of buying overseas is finally over and you’re actually ready to head out to Italy for a viewing trip to find your dream home. Find out how to make the most of your visit by downloading our free guide to planning a viewing trip. Emilia-Romagna isn’t one of the most well-known regions, but foodies will have come across some of its quality products, such as Parma ham, Parmesan cheese and balsamic vinegar. 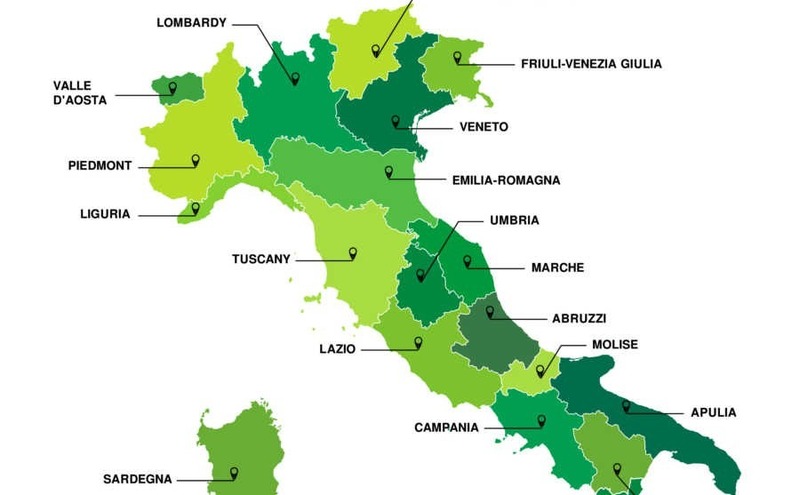 The region is also said to have the best restaurants in Italy. Like its neighbour Tuscany, you will find lovely stone farmhouses with terracotta-tiled roofs and window shutters. Good road links make it easy to visit the elegant cities of both regions, especially if you look around the areas either side of the main routes between Bologna and Florence. 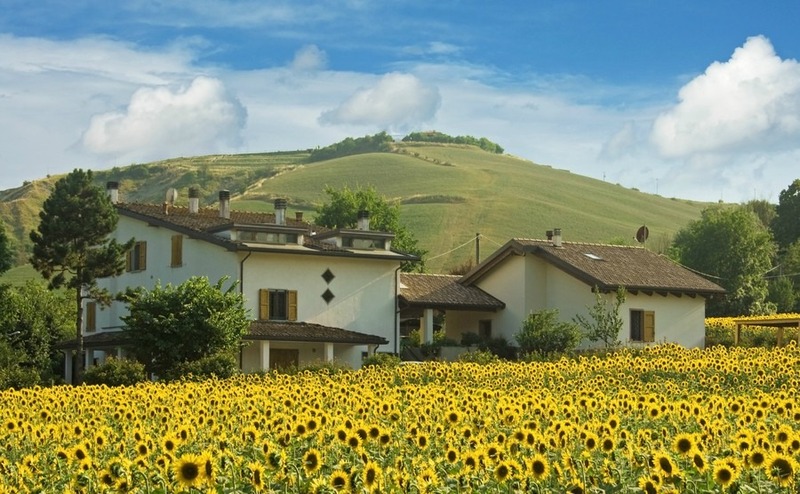 The countryside south of Parma, Modena and Reggio Emilia can be particularly good value. House Prices: For €160,000 you could find a stone farmhouse to renovate, but there are also four-bedroom houses for sale on Rightmove from €200,000 that are ready to move in. Here are some Emilia-Romagna properties for sale on Rightmove. The grand historic cities of Florence and Siena affect house prices in the surrounding countryside, so the famous wine-growing area, Chianti, has properties with some very high price tags. La Banditaccia farm house, featured in the TV programme Second Chance Summer is in the foothills of Mount Amiata, near the village of Monticello Amiata, below Siena. If you want to buy something in this area that is large enough to be able to rent out seven rooms, as well as having olive trees and a vineyard, you might expect to pay over €2million. But, if you are happy to move away from the tourist hotspots the prices do come down. Looking further north around the historic town of Lucca you can find some lovely rural houses and by going to the far north, almost into Emilia-Romagna, there are some great bargains to be found in Lunigiana, an area surrounded by vineyards, olive groves, chestnut oaks, castles and monuments. 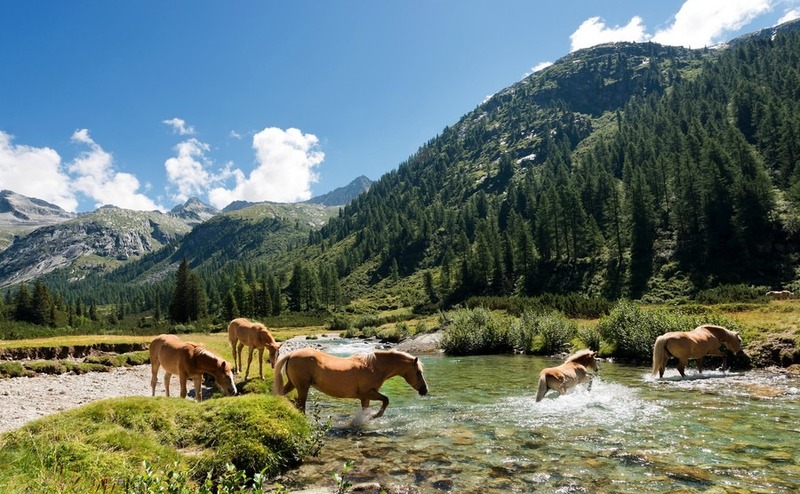 Both areas offer the opportunity to go hiking, horse riding and mountain biking. House prices: In Lunigiana and Lucca it is possible to buy farm houses to renovate from 100,000 and a three-bedroom restored property for around €300,000. In comparison, a farmhouse to restore nearer to Florence could set you back over €650,000. Here are some Tuscany properties for sale on Rightmove. Moving south of Tuscany is Umbria. Known as the “green heart of Italy”, Umbria’s countryside has sweeping and undulating hills with open vistas and medieval hilltop towns. It’s a dream for hikers and lovers of fine wine, cheeses and truffles. Although, it isn’t bordered by the sea the region has some beautiful lakes with the areas around Lake Trasimeno being particularly popular. Two of the most attractive areas are the Vale of Spoleto in the region’s centre and the Upper Tiber valley in the north. House prices: It is still possible to find stone farmhouses to renovate for around €200,000 and for around the same price you can get a two-bedroom house ready to move in. If you want a farmhouse with a good sized piece of land you will need to spend a minimum of €600,000. Here are some Umbria properties for sale on Rightmove. 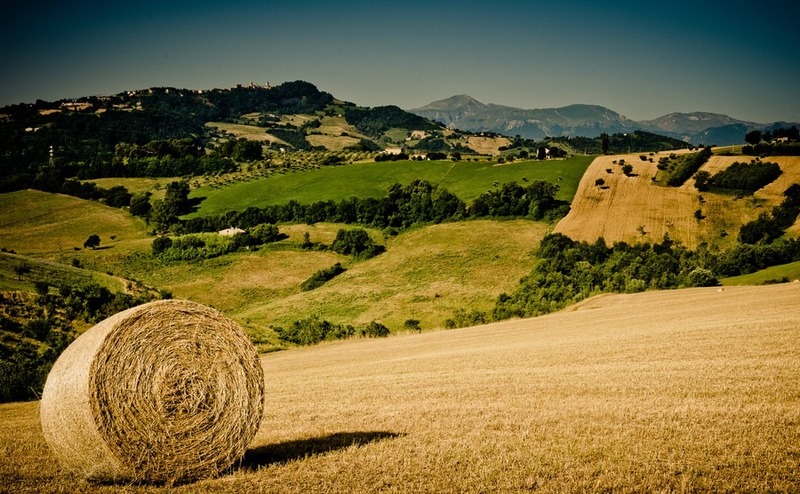 Between Umbria and the Adriatic Sea is the region of Le Marche, a land steeped in culture, art and nature. 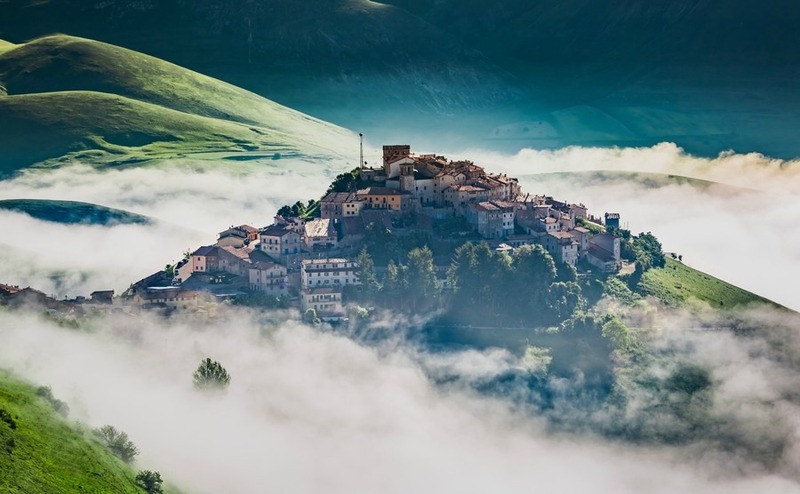 From the tops of the Sibillini mountains, across the rolling hills, right down to the beautiful beaches, there is scenery to suit everyone and you can find that strong sense of community and a warm welcome. It is a great place to live all year round. You can even ski in the winter, hike in the spring and lie on the beach in the summer. You can even ski in the winter, hike in the spring and lie on the beach in the summer. After the popularity of Tuscany and then Umbria, le Marche has only more recently begun to be discovered by foreign buyers, especially those looking for a quiet life in the countryside. As you would expect, property prices get cheaper the further inland from the coast you come, and there are some good-sized houses available. House prices: A four-bedroom country house costs in the region of €400,000. Here are some Le Marche properties for sale on Rightmove. The unspoilt countryside of Puglia has become increasingly popular with both tourists and foreign buyers in recent years. This is partly due to the increase in flights to the airports at Bari and Brindisi, but also because of the superb climate and low cost of properties. This is a very rural region, mainly of olive trees and vineyards with architecture that is unique. Many British people are drawn to the slightly hillier areas around Ostuni and through to Alberobello. This is where you are most likely to find a trullo, one of those cone-shaped buildings that many people have converted into cool and quirky holiday homes. If you want a larger farmhouse that you can live in year-round with extra bedrooms to rent out, then you need to look out for a masseria. These farmhouses are very different to the ones you see further north, built with large blocks of sandstone and with amazing star-vaulted ceilings. House prices: Trullo to renovate from €50,000; two-bedroom renovated trulli or villas from €150,000. A five-bedroom masseria to renovate starts at around €250,000, but prices vary greatly depending on size and condition. Some extremely large ones can cost a million. Note: All prices shown are just a rough guide. The location and condition of the properties greatly affect their value. I recommend always going to view properties yourself and comparing a few in your chosen area.